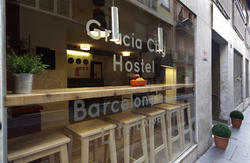 Hip Karma Hostel is a small luxurious hostel located in the heart of Barcelona. We offer comfy beds, free internet & Wi-Fi, free lockers, free bag storage, free maps, hot showers and kitchen facilities. Below is a short description of what you will receive when you stay with us. The rooms are dormitory style with bunk beds. You will receive a bed with privacy and security. All beds have stylish privacy curtains and reading light, so when you want a little privacy to read or work on your laptop computer you just simply close the curtains and turn on your light. All beds come with a free security locker. Inside each locker you have and electrical outlet. Here you can safely charge; your mobile phone, photo camera, video camera, IPOD or laptop computer. (You can bring our own padlock or buy one of ours for 5 euro) If you're traveling without your sleeping bag or towel you can rent one from us. Complete bed linen set and towels rent for 2 euro each. We want the hostel to feel good in the hot of summer or the cold of winter so the complete facility has central air conditioning and heating. 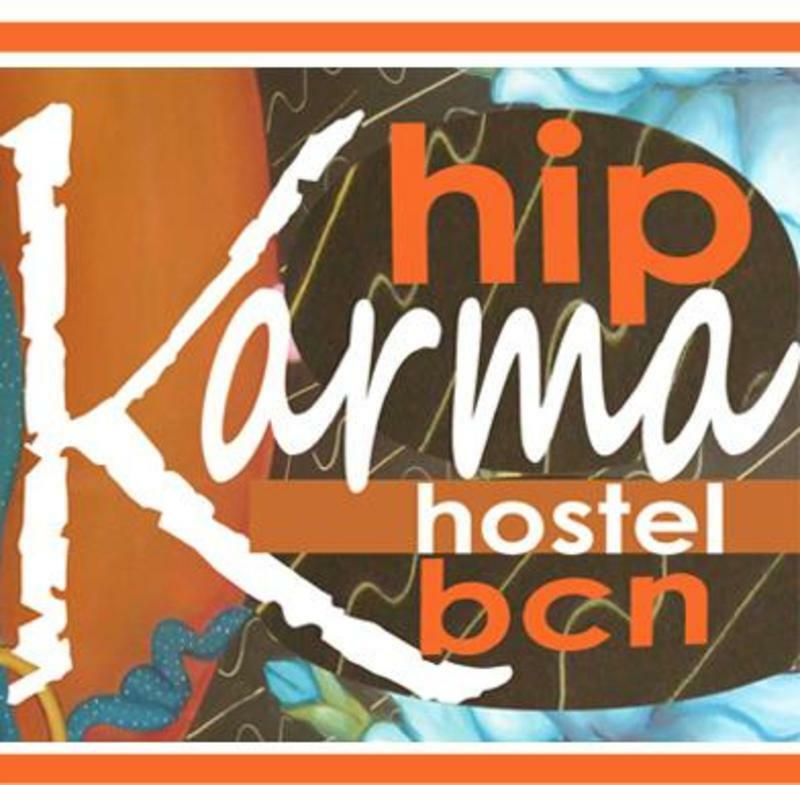 We want all guest to be happy so when you take a bed at Hip Karma Hostel you also receive free internet & wifi, free bag storrage, free map of Barcelona, free hot private showers (boys and girls have separate shower rooms) and free kitchen facilities including satellite TV and space in the big fridge. We at Hip Karma Hostel know that choosing an accommodation is one of the most important decisions to make when creating a great holiday vacation. We are confident that are central location, new facility and professional positive staff will give you everything you need to have a great Barcelona experience. We look forward to welcoming you!! 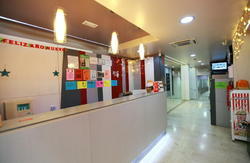 Hip Karma Hostel is located on the Street Ronda Sant Pere 39, cross Street Girona . Take the aerobus to plaza catalunya (final stop). Walk 10 minutes down ronda sant pere street until number 39 in the corner with girona street. Your ryanair flight will have a corresponding bus taking you to the Estacio del Nord Bus Station in Barcelona. From the estacio del nord bus station you can walk to the hostel in about 15 minutes or you can take the metro (red line 1) Arc de Triumfo to Urquinoana . Use the bruc street exit. Walk 1 block to Ronda Sant Pere 39, corner with Girona Street. Your ryanair flight will have a corresponding bus taking you to the Sants Estacio Bus/Train Station. From here take the metro (green line 3) to Espanya, connect with (red line 1 )and go to Urquinoana. Use the bruc street exit. 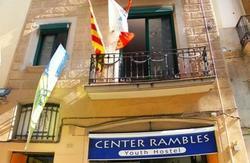 Walk 1 block to Ronda Sant Pere 39, corner with Girona Street. Take the metro (green line 3) to Espanya, connect with (red line 1) and go to Urquinoana. Use the bruc street exit. Walk 1 block to Ronda Sant Pere 39, corner with Girona Street. Take the metro (red line 1) from Arc de Triumfo to Urquinaona Station. Use the Ronda Sant Pere exit. Walk 2 blocks to ronda sant pere 39, corner with Girona Street. Take the metro (yellow line 4) from Barceloneta to Urquinoana station. Walk in the direction (red line 1) and look for the Bruc Street exit. Walk 1 block to Ronda Sant Pere 39, in the corner with Girona Street.